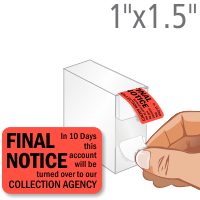 A collection label helps reduce hassles and time-consuming phone calls. 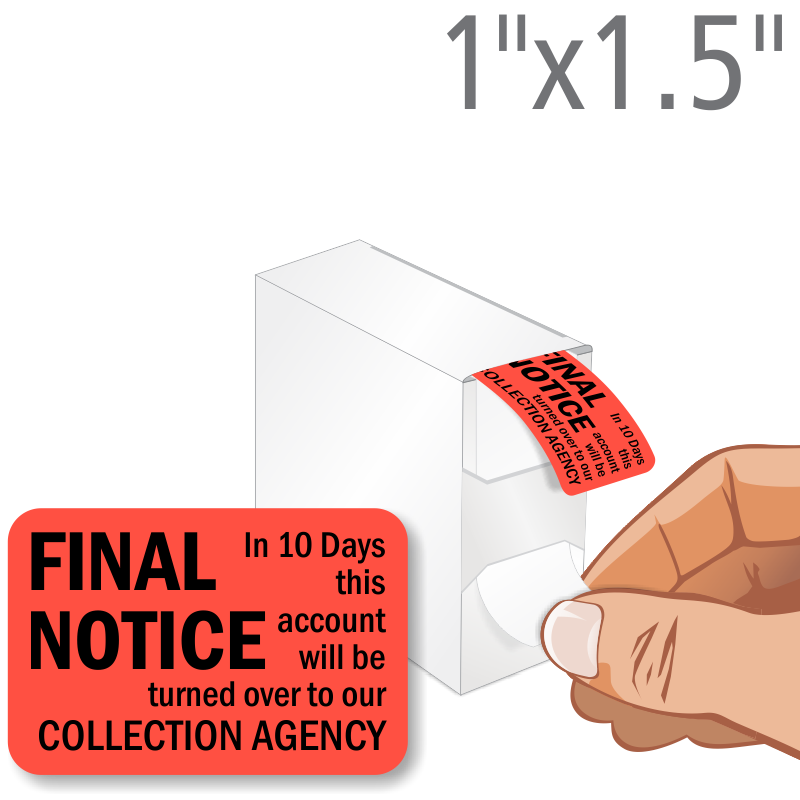 These products have an aggressive adhesive that sticks well to envelopes, boxes, bills, etc. 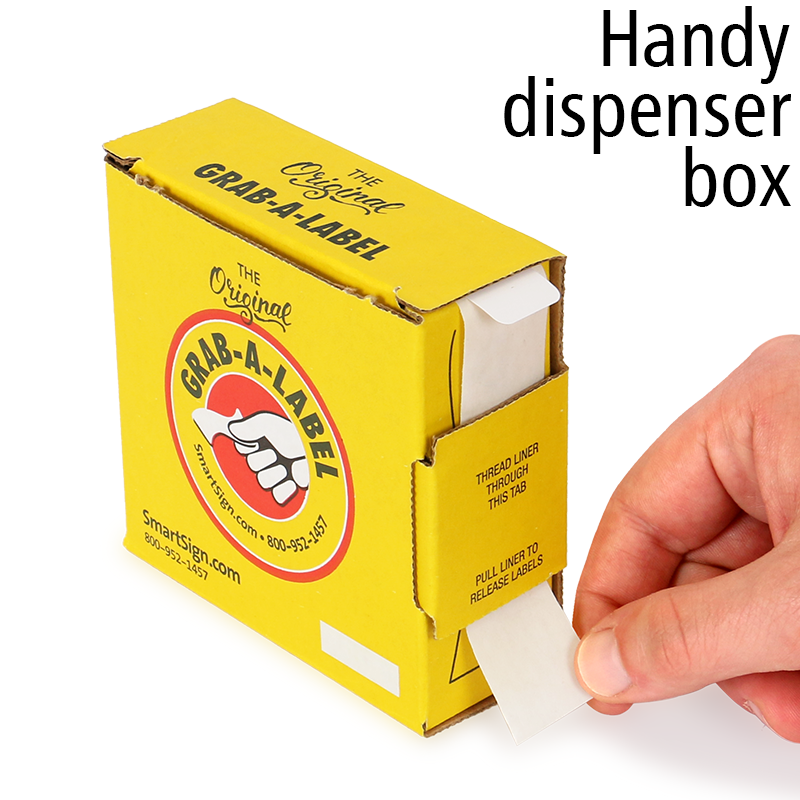 Use a handy Grab-a-Label Dispenser Box to conveniently pull-out labels for faster application. • Made from 4.5 mil fluorescent paper with bright colors that attract attention. Fluorescent labels are available in several eye-catching fluorescent colors - ideal for color coding. • Black ink is recommended on all fluorescent papers. 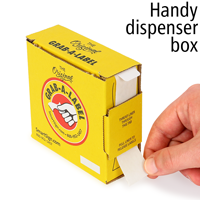 • Labels are printed flexographically and have a permanent adhesive with a peel-off liner.